"Since becoming a librarian for the Berlin Philharmonic Orchestra I still use Percussion Orchestrations quite often .... the website is a great guideline to get an idea of the number of players needed. It is also very useful indeed to have the possibility to request a work which is not already in the database, and in my experience we get a very quick response." "A flat-out indispensable resource! 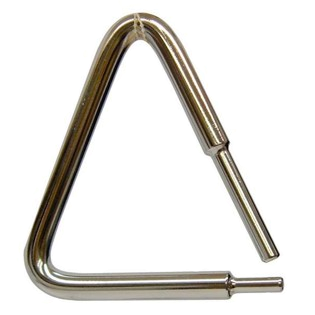 The information this site provides gives a solid foundation for the percussion for most every piece in the repertoire, all simply located at the click of a mouse. I highly recommend Percussion Orchestrations for anyone in our field searching for reliable, accurate percussion requirements." "I have used Percussion Orchestrations now for three years as a cross reference to my own materials and find it to be a very helpful resource. The movement by movement breakdown of both standard repertoire and new music alike makes the website very thorough. I appreciate the convenience of access to the database on the go and find Percussion Orchestrations to be an integral tool for organizing the allocation of percussion parts." "Percussion Orchestrations is a wonderful resource for the orchestral percussionist. It is well organized, comprehensive, and will save anyone in charge of percussion section logistics a lot of time. I find it to be highly useful and educational." "Percussion Orchestration is really a great tool for day to day work in a symphonic orchestra. Easy to use and very helpful." "We have found your website really useful, both when planning the programs and for the Principal Percussionist. No more guessing how many percussion players will be needed, which instruments will be needed, how to divide the parts and what the unusual instruments are." "I have been using Percussion Orchestrations since my appointment a couple of years ago, and it continues to be a daily tool in my work. Anywhere you are and within a few clicks you can have an overview of almost every work you look for. Really nice to see also how this list keeps growing with updates etc. very satisfied!" "The Percussion Orchestrations website has been of great help for us and saved a lot of time when we plan our programmes. 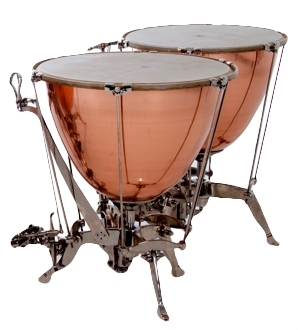 We have also saved money since it has become easy to stay within our normal number of percussionists or use extra-players in a more economic way"
"Although for many years I have kept records of the BBCSSO programmes and percussion requirements I find the Percussion Orchestrations website invaluable. It is always in my pocket on my iPhone when I suddenly get asked how many percussion do you need for ---- Also it has some unusual stuff on it that is very useful when the music of an unknown piece is not yet in our orchestral library. An invaluable resource for Principal Percussionists!!!!" "Percussion Orchestrations is an invaluable resource for the RTÉ Concert Orchestra. The range of repertoire that we perform, from Opera, small and large scale classical repertoire, film music etc. makes Percussion Orchestrations a key planning and operational tool. I cannot recommend their service more highly!" "Percussion Orchestrations is an unbelievable site for principal percussionists. 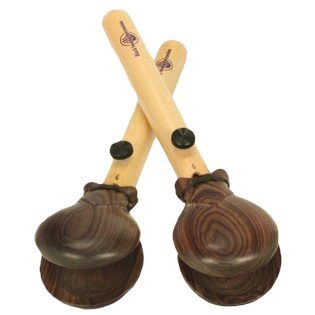 I am so pleased that I have found this site as I can now very quickly find a great deal of what is necessary for both the classic and modern percussion repertoire. That is so useful to me as a principal percussionist." "Percussion Orchestrations is such a valuable resource. It has always proved to be accurate, saving much time when preparing orchestration sheets for concerts. 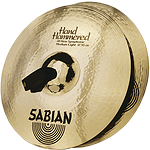 Recommended to me initially by our freelance percussion players!" "Percussion Orchestrations is a great help not only for me as the principal percussionist, but also for our administration when trying to keep the budget.. ;-) The site is both extremely useful and educational." "I have added the Percussion Orchestration website to my list of resources for checking and confirming the number of players required for many selections in our literature. Additionally, it is a wonderful resource for helping to see how to divide parts amongst the section." "You are doing amazing work with Percorch. It is really helpful to me. Thankyou!" "Unique and precious tool for all musicians, percussionists and conductors. Congratulations!" "Ed Cervenka's Percussion Orchestration site is an incredibly valuable resource for students, educators, conductors, orchestra contractors, and stage crew. Determining how many players and what instruments are required can be a time consuming process, and for non-percussionist administrators, this task is sometimes impossible to do accurately. PercOrch puts all of this info at our finger tips, saving time and energy, improving communication, and clarifying expectations. Bravo Ed!" "Percussion Orchestrations is the best resource available today for assigning parts and researching repertoire for the coming seasons. Ed Cervenka has compiled an extensive library of assignments in a comprehensive and easy to use website." "I find Percussion Orchestrations extremely helpful not to mention our percussionists. 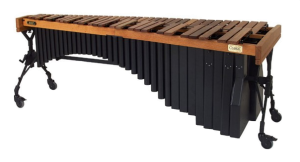 Since we are members of Percussion Orchestrations we are able to give our percussionists specific and reliable information well in advance and it is easier for us to pre-estimate the costs for the percussion players and instruments. So thank you very much for all information we get from your Website and please go on with this. We’re happy." "Percussion Orchestration is a very good tool and a great help in the work of planning for our group in Oslo Phil. A very easytouse web-site I really recommend!" 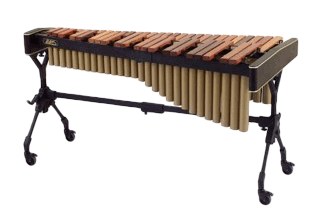 "Percussion Orchestrations website has been a great help on many occasions. It saves me a lot of time, finding all this information on one website. Really a tremendous help!" "I have subscribed to this valuable and innovative resource for some considerable time. Ed Cervenka is to be congratulated on what is an amazing resource for Percussionists and Orchestra Administrators alike. Bravo Ed." "Percussion Orchestrations is the most comprehensive resource available on the internet for the advanced planning of a percussionists season. Ed's website covers most of the major symphonic works and operas movement by movement in a comprehensive and in depth way. This resource has saved me thousands of hours in planning and I highly recommend it to anyone!" "... provides orchestra librarians, stage managers and percussionists with a clear listing of percussion requirements for a vast repertoire, broken down by movement, including opera (also broken down by number, easing preparation for excerpt concerts) as well as rapidly growing small ensemble corpus. Over the past year it has grown incredibly in scope and I see it as essential to my work and that of my colleagues." "... a superb site and a fantastic resource for percussionists and orchestras alike." "Percussion Orchestrations is an outstanding tool in my professional work. I am especially pleased with the fact that the database is constantly being updated"
"Percussion Orchestrations has proved to be an invaluable tool when it comes to programming and the actual preparation for concerts. Keep up the good work." "Again let me thank you for this wonderful site. We have used it in many ways to our utmost satisfaction." "Percussion Orchestrations is a truly effective and valuable tool for checking out repertoire, planning seasons and programs. Easy to use and reliable." "Percussion Orchestrations has saved me so much time when researching repertoire for the season. Thank you for providing such a valuable service to our industry!" "This site is such a great planning resource for percussionists. Highly recommended!" "Percussion Orchestrations is an invaluable source. My colleagues and I use it in our Artistic Committee when considering possible programs and I use it to work out what personnel we may need prior to obtaining the parts. Yes, invaluable!" "Muchas gracias Ed por crear Percussion Orchestration, ahora ya no podríamos trabajar sin esta herramienta tan útil!" 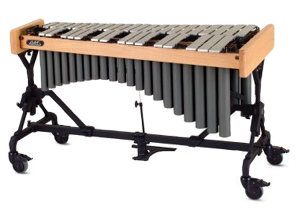 "Percussion Orchestrations is a tremendous resource and time saving percussion database. I have found it to be a great help in my duties here in the Syracuse Symphony Orchestra and will certainly continue to utilize the vast wealth of info and repertoire in the future.."
"Percussion Orchestrations has become a welcome, vital tool for our percussion section. It allows us to carefully strategize staffing needs and part assignments well in advance of rehearsals - a critical function to a non-profit orchestra that relies heavily on volunteer participation. Our membership has paid for itself many times over." "Percussion Orchestrations has been a most valuable and time saving resource to our organisation in logistical planning and programming, especially when running a wide range of projects at the same time. Not only do I have access to the site but also our students have been given separate log on details so they can also use it." "Percussion Orchestrations is a very useful tool for our percussion teachers in the preparation of the different orchestral projects during the year." "The Percussion Orchestrations website has been an invaluable resource to me when planning concerts and tours for the European Union Youth Orchestra. It is easy to use, informative, accurate and good value for money." "Percussion Orchestrations has been invaluable to me in my work with my orchestra, as well as immensely helpful in my teaching and coaching work. It is a most useful site and has saved me a great deal of time and hard work." "Percussion Orchestrations is a wonderful resource! The fact that many works are broken down by movement, or for different numbers of players, is especially helpful. I highly recommend this site." "I wish to congratulate you on your great Percussion Orchestrations website. It is a tremendous help and will save many hours of work." "Percussion Orchestrations has been, and will continue to be a most valuable reference tool! I especially appreciate that the database is continually being upgraded." "Percussion Orchestrations is a marvelous resource, is organized very well and is easy to use. This is a great tool for every percussionist and orchestra contractor to have at their disposal. " Subscribe to our mailing list for the chance to win a year's membership FREE!